Soldering - MrFix finds you a reliable solderer within 3 hours. Soldering - MrFix finds you a reliable solderer within 3 hours. Soldering needed? Home repair service MrFix! How do I request a solderer? Ik zoek een klusjesman in Amsterdam om een gordijnsysteem opnieuw op te hangen: het is van het plafond naar beneden gekomen! All MrFix rates are fair and transparent. For solderers we charge a fixed rate of €80 per hour including VAT and call-out charge. Welding and soldering is about metal connections. Those connections always have to be very high quality because they still have to be strong and safe after many decades. Those jobs require specialist expertise about different kinds of metal and their behaviour and strength on the long term. Those welding and soldering jobs require diligence, accuracy and experience. We always recommend to hire an expert for that . Home repair service MrFix gets you a qualified expert for every welding or soldering job. We work quickly, conveniently and at fair rates. It’s simple: fill out the form and we will match your job with the right professional within three hours. Easy, right? MrFix has a soldering expert available today. Make your “DETAILED DESCRIPTION OF JOB” as precisely as possible: please specify materials, measures, obstructions or other limitations. For further questions about soldering rates see “What does it cost” on Help / FAQ or call us on 020-675 0333. For urgent jobs you can contact MrFix. We will connect you to the right expert for your soldering job within 3 hours, and often faster than that. For jobs that must start within 24 hours, after 18h or on weekends we charge a surcharge of 50%. Some jobs, such as power failures, simply cannot wait. That is why MrFix has a solderer ready for emergency situations 24 hours a day, also on weekends. Our qualified electricians are ready to do your soldering job in the West and Centre of The Netherlands quickly. We serve the whole western conurbation (the Amsterdam, Haarlem, The Hague, Rotterdam, Utrecht area) but also the central part of The Netherlands, up to and including Eindhoven and Apeldoorn. The quickest way to request a solderer is via our webform and if you prefer you can also mail, call 020-6750333 (Mon-Fri 8-18h) or send a WhatsApp message to 06-15380087. 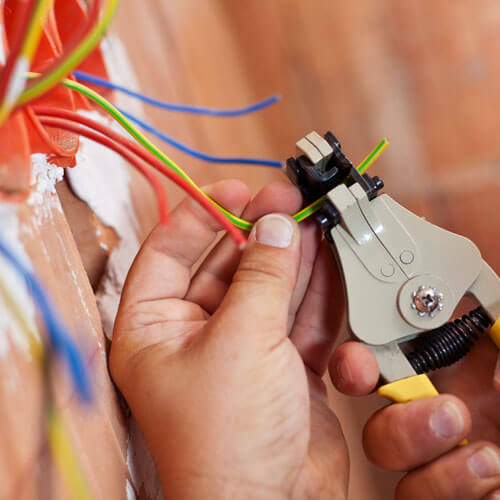 The work of our qualified solderers and other electricians is covered by a triple guarantee: the guarantee by the electrician himself, his liability insurance and finally our MrFix leverage over the electrician. So you are in safe hands. See the Help / FAQ page or call us on 020-675 0333 (Mon-Fri 8-18h) for further information. 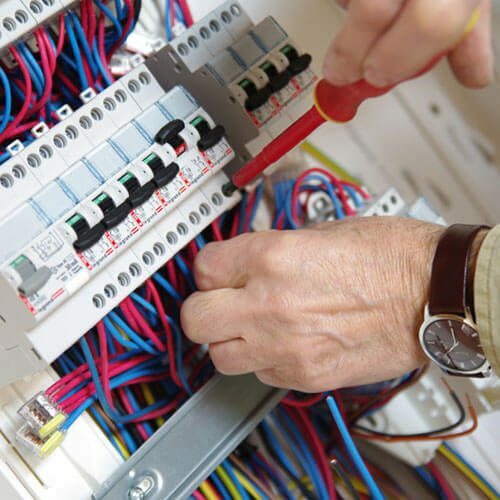 Need an electrician in your region for soldering?